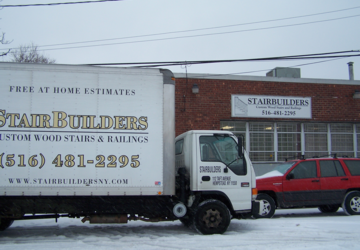 We've been providing the highest quality wood stairs and railings throughout Long Island for over 30 years. Originally located in Island Park, we moved to a large modern facility in Hempstead in May of 2004. We have the space and equipment to efficiently produce any type of stair and railing system. I'm Paul Gabriele; I have 25 years of experience in various successful business ventures. I took over the operations of StairBuilders, Inc. in 2000. Look at our Photo Gallery and see some of the staircases we have built and photos of our shop and factory.